Big Data can help predict the future, but can too much Big Data be dangerous for your organization? Yes, says global tech ethnographer, Tricia Wang. This webcast examines the risks of over-reliance on big data and the need to bring in Thick Data—qualitative methods used by ethnographers. After attending this presentation, you'll understand why Thick Data is important, why quantitative data is often times more valued than qualitative data, and when to introduce Thick Data methods into your organization. 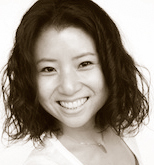 Tricia Wang transforms how organizations conduct research. As a global tech ethnographer, she designs research strategies to catalyze innovation in organizations. Tricia specializes in creating integrative research approaches combining Big Data and Thick Data. She advises organizations (large and small) on how to integrate ethnography to engage with stakeholders as people, not just data-sets. She has worked with Fortune 500 companies including Nokia and GE and numerous institutions from the UN to NASA. Her work has been featured in The Atlantic, Al Jazeera, Fast Company, Makeshift, and Wired. To support her goal of increasing the visibility of applied ethnography, she co-founded Ethnography Matters, a community for ethnographers, designers, programmers, and engineers to share strategies and case studies for people-centered research approaches. Along with her consulting work, she is also a visiting scholar at New York University's Interactive Telecommunication Program and a fellow at Harvard University's Berkman Center for Internet Studies. She is also the proud owner of an internet famous dog, #ellethedog.